The Centre for Remote Health is a University Departments of Rural Health (UDRH) funded by the Commonwealth Department of Health under the Rural Health Multidisciplinary Training Programme to improve the health status of populations in rural and remote areas by appropriate preparation of the health workforce, thereby improving recruitment and retention levels. The Centre for Remote Health is located in Alice Springs, Northern Territory and the catchment area is Territory-wide and includes cross-border areas in South Australia and Western Australia. 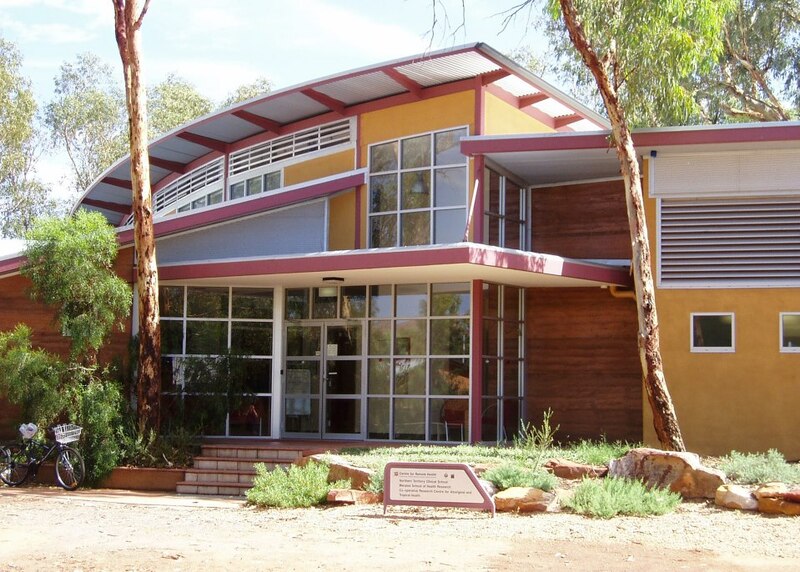 From its humble beginnings early in 1999 with three staff housed in two demountable buildings within the Alice Springs Hospital grounds, CRH has now grown to be a nationally recognised entity with a full complement of staff occupying its own unique landmark building in Alice Springs. CRH has brought a tertiary education and research presence in the health field to Central Australia, which has become a focal point for joint activity with the many health-related organisations in the region. A range of postgraduate and professional development courses are offered. Research programs are responsive to community and health service needs. CRH works in partnership with communities and organisations to enable research to be guided by community knowledge and end-user needs to improve access to services and to improve the health of people in remote regions of Australia.